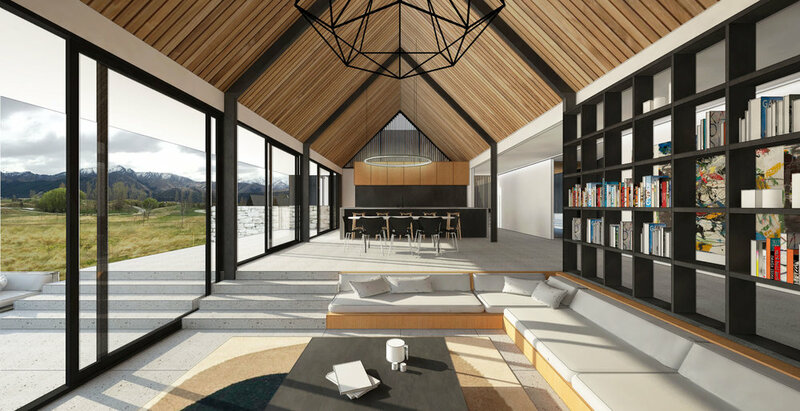 The design of the building is conceived as an arrangement of gable forms which have been articulately orientated and stepped across its undulating site to capture natural light and frame views of the mountains beyond. The material palette has been carefully selected to ensure the building blends into its spectacular landscape. The three main living wings are clad in dark stained vertical cedar boards and profiled metal tray, while the garage is clad completely – walls & roof – in the profiled metal tray with timber sliding garage doors. ‘Hit and miss’ timber shutters in a natural finish tuck below the protruding eaves on the northern façade, filtering light into the spaces. Natural stone walls are anchored within the landscape offering a sense of privacy. A high standard of finish is evident from the inside-out, whilst enabling a design which is integral of the strict design criteria of Bendemeer Estate. 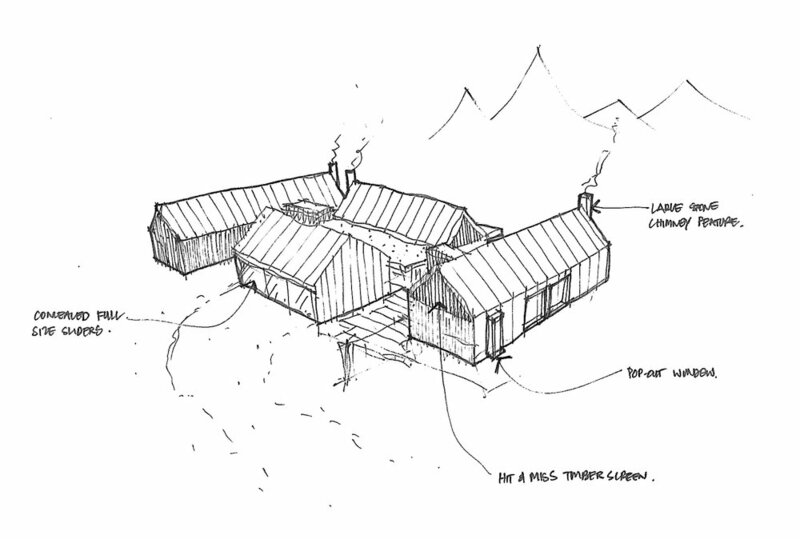 An on-going assessment between the requirements of the clients and good understanding of the Bendemeer Philosophy and covenant rules, have been key for the design of a building which preserves quality, in keeping with the Bendemeer ethos, and performs efficiently and effectively within the landscape and property as a whole.